It’s better to be safe than sorry, so check which type of lily you are purchasing before you bring any flowers or plants into your home. 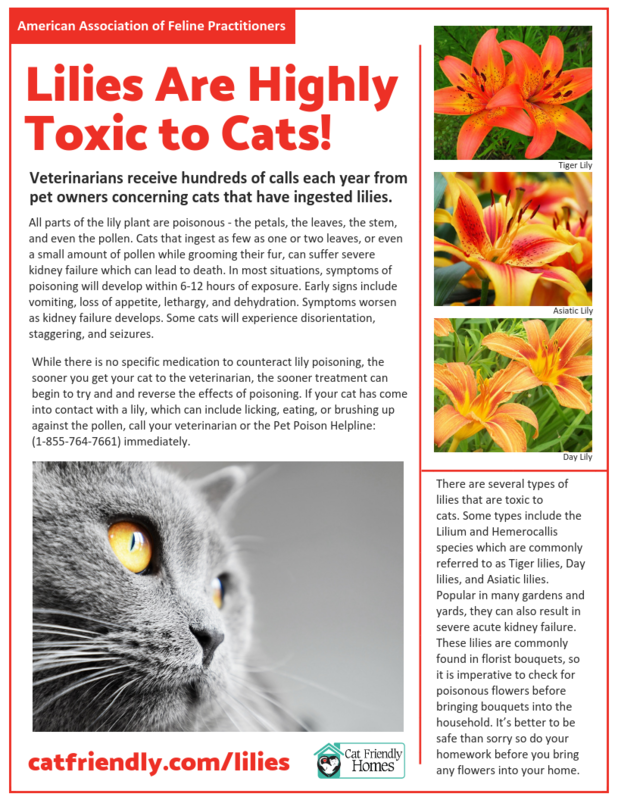 Lilies are beautiful plants which may brighten your home, but they are highly toxic to your cat. All parts of the lily plant are poisonous to your cat- the petals, the leaves, the stem, and even the pollen. If your cat ingests one or two leaves, or a small amount of pollen while grooming her fur, she can suffer severe kidney failure. There are several types of lilies that are toxic to cats. Some types include tiger lilies, day lilies, and asiatic lilies. These types are popular in many gardens and yards, so please be aware that they can cause severe acute kidney failure in cats. Lilies can be found in florist bouquets, so it is important to check for these types of poisonous flowers before bringing them into the home. Other types of lilies, such as the Peace, Peruvian, and Calla lilies, are usually not a problem for cats. However, they may cause minor drooling in ingested. In most situations, symptoms of poisoning develop within 6-12 hours of exposure. What should I do if my cat eats part of a lily? If you see your cat licking or eating any part of a lily, call your veterinarian or Pet Poison Helpline (1-855-764-7661) immediately. Bring a sample of the lily with you to the veterinarian’s office. Tell the veterinary staff how much of the lily your cat ate. 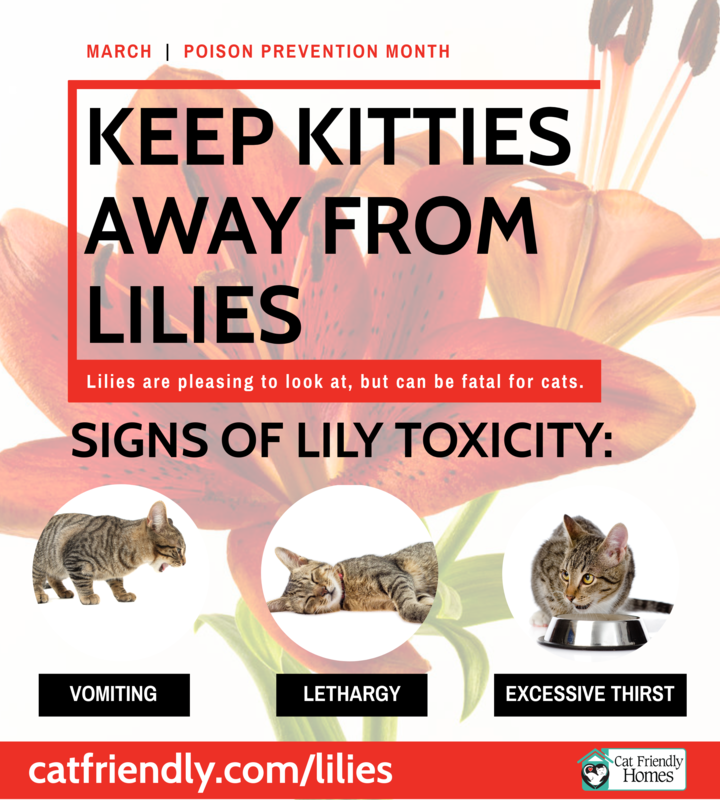 While there is no specific antidote to counteract lily poisoning, the sooner you get your cat to the veterinarian, the sooner treatment for kidney damage can be started.